Each season offers change and this winter reminds us of how different each season can be from year to year. We have seen some game changers, new records, and new challenges, because like pain, this winter is turning out to be anything but predictable. So as we think about the winter of our symptoms, maybe we can imagine the beauty of being able to sculpt our thoughts like the driving force of a winter storm creates a beautiful snow drift that inspires our imagination and leaves us in awe. 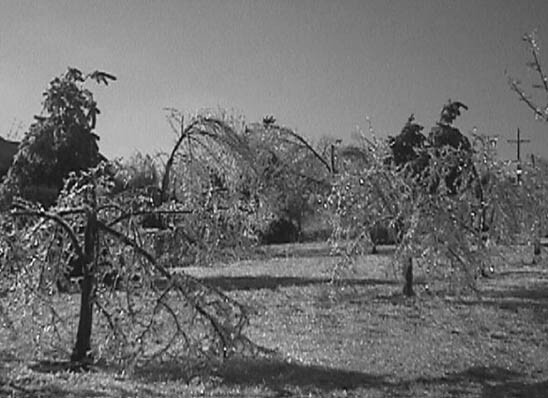 The winter season is often compared to death. In this case, it is the dying off of old thoughts and destructive behaviors. Because of this, we must experience many feelings, good and bad, so we can be born into a new way of thinking about chronic pain and how it affects us all.… Confronting chronic pain takes constant reminders…motivation to stay focused on goals and achievements.… Come with us as we walk the barren winter land, appreciating the necessity to rid ourselves of previous perceptions and prepare for the spring season of rebirth. The goal is to sculpt our thoughts so they lift us up, so they gleam like a beautiful ice sculpture. 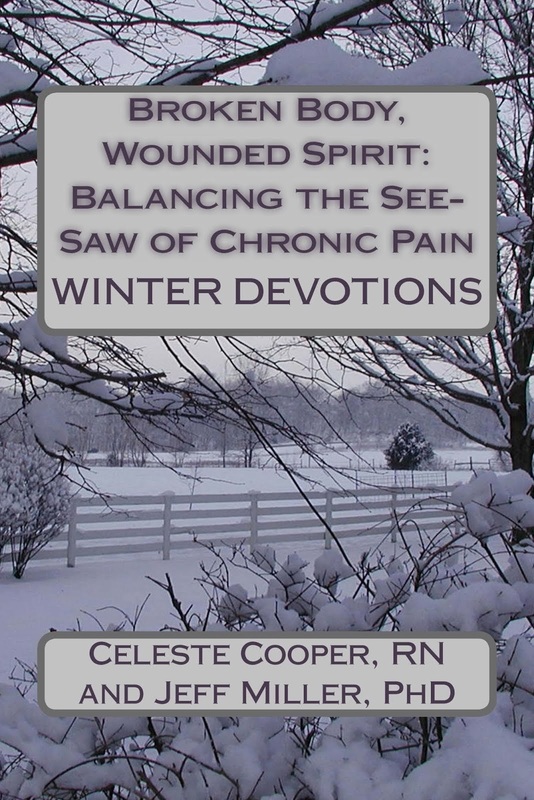 Paul Gileno, Founder/President of one of the largest pain advocacy groups, the US Pain Foundation said in his pre-publication review of Winter Devotions what many of our readers have shared. So, as I look back to the beginning of winter, I reflect on what it has offered thus far. I spent four weeks recovering from pneumonia. I have had many interventional procedures for my pain and tests for those yet to come. But, I also celebrated with my dad as he reached a personal landmark in his life, ninety wonderful years. Talk about an inspiration. After bouncing over rough terrain as a heavy equipment operator nearly his entire adult life, his spine shows the wear and tear and it causes him pain. But that’s not all, he also has severe neuropathy, which has affected his ability to drive safely. As one who retained his driving skills to this day, this was troublesome. But, he did not wallow in self-pity; instead, he set about accepting the danger that could be involved, and began to think about how he could move forward. He got hand controls installed on his truck and passed the special drivers test with flying colors. The point is that in his 9th decade of life, he still knows how to adapt, to embrace change, and to make the best of a given situation. We talked after his big bash (over 100 people there). I asked, so dad, “what’s next on your agenda?” he said, “Well, I guess I will shoot for 100!” He is a champion; he has had more struggles than I would ever want for him, but despite any adversity, he sees opportunity. If his purpose is to inspire me, he has certainly done that. So I leave you with this…I hope you will pick up a copy of Winter Devotions. You can use it as your guide every winter, because like the unpredictability of each season, our thoughts and ideas change too. We need reminders on how to go about creating a new sculpture, one different than the season or year before. Myra J. Christopher, Kathleen M. Foley Chair in Pain and Palliative Care at the Center for Practical Bioethics, and Principal Investigator of the Pain Action Alliance to Implement a NationalStrategy. An Amazon reviewer of the Spring Devotions book in the series shared her disappointment thinking the book was a Christian devotional. So, I want you to understand that each season (book) has daily “DEVOTIONS”, that offer inspiration, interaction, and information on how to care for ourselves. When we heal any aspect of our being by embracing the power of physical, mental, emotional, and spiritual balance, we reduce our suffering. Using our own experiences, we can inspire others who share our journey, and that is empowering. But, these books are not religious devotionals. I encourage you to visit my website so you know what WinterDevotions is about by following the highlighted text. And if you are one of our readers, please leave a comment on Amazon.